Supporters of Missouri's redistricting ballot measure hold signs behind former state Sen. Bob Johnson during a news conference in Jefferson City, Mo., in August. Just two months ago, Missouri voters approved a constitutional amendment to change how the state draws legislative boundaries. The state's lawmakers, who return to session this week, aren't having it and may seek to nix or rewrite the anti-gerrymandering law. Missouri was one of four states where voters last year decided to make significant changes to the redistricting process in the name of curbing partisanship and reducing political influence on legislative and congressional maps. In approving a measure known as Amendment 1 with more than 60 percent of the vote, Missouri voters chose to give much of the power to draw state House and Senate districts over to a demographer who must craft a map that emphasizes partisan fairness and competitiveness. Before passage of Amendment 1, which also included curbs on lobbyist-paid gifts and making legislative emails open records, a panel split evenly between Republicans and Democrats, not lawmakers themselves, was tasked with drawing House and Senate maps (although courts frequently stepped in to complete the maps if the panel was deadlocked). The criteria in the amendment, which only affects state legislative redistricting, are aimed at giving political parties a better chance at winning in places where they usually get swamped. But fans of the measure barely had a chance to exhale before the GOP majority began to talk about repealing it. The Republican leaders of the House and Senate, as well as Gov. Mike Parson, expressed support for repealing or altering the new redistricting system. "I think it's a major concern for this majority, in how that is going to impact the future," said Senate President Pro Tem-elect Dave Schatz last year. "And I do think those issues are going to have to be addressed there." Schatz and the Republican supermajorities in the state House and Senate appear ready to offer up their own constitutional amendment to alter or undo Amendment 1 for a statewide vote either later this year or in 2020, much to the displeasure of the initiative's sponsors. (From left) Republican state Sen. 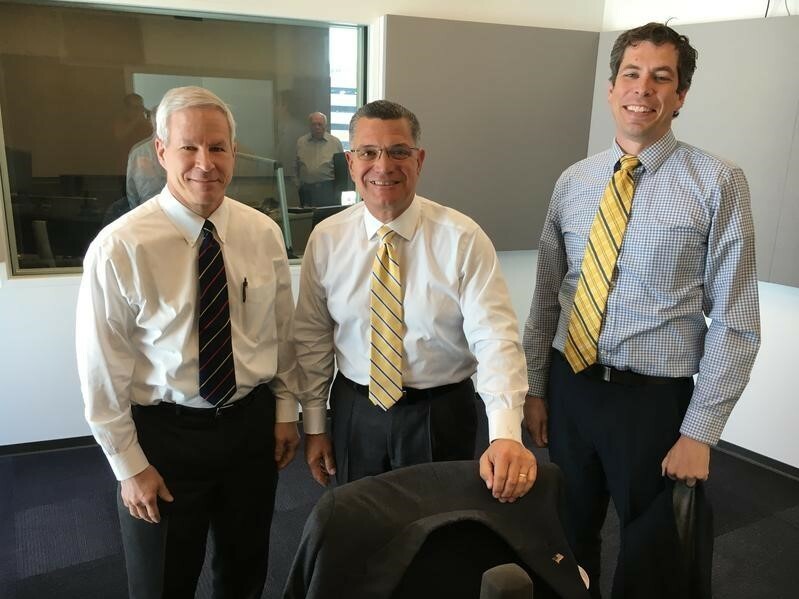 Rob Schaaf, former Republican state Sen. Jim Lembke and Sean Soendker Nicholson. Schaaf and Lembke backed the so-called Clean Missouri amendment, while Nicholson ran the successful campaign to get it approved last fall. "Voters know when there's games being played," said Sean Soendker Nicholson, a Democratic political consultant who was the campaign manager for Amendment 1. "And they know that when politicians or political consultants are the one drawing their own lines or drawing lines for their friends that they're protecting their own and not looking out for voters." Republicans argue the criteria used to draw legislative maps will help Democrats chip away at the large GOP majorities. While some prominent Republicans endorsed Amendment 1, Democratic lawyers helped draft the language for it. And some politically active nonprofits with ties to major Democratic donors wrote large checks to fund the campaign in favor of the initiative. Amendment 1's organizers ended up giving the state's last Democratic statewide officeholder, state Auditor Nicole Galloway, a major say in picking finalists for the demographer position. Since Democrats are clustered primarily in the St. Louis and Kansas City area, people like Sen.-elect Cindy O'Laughlin believe the amendment will produce a slew of oddly shaped districts that stretch across large swaths of terrain. "I see no reason for a largely Republican area to be all of a sudden connected to something that's distant from there to try to engineer the results," O'Laughlin said. "I think that's wrong." It's not just Republicans who have raised alarm about Amendment 1. A number of prominent African-American Democrats have also come out against it. Some, including Democratic Congressman Lacy Clay of St. Louis, believe that the only way to create more competitive legislative maps will be to spread out voters from heavily African-American districts into more majority white districts. Black Democrats in Missouri have often quarreled with their white counterparts over redistricting. And some African-American elected officials have found Republicans to be more dependable allies in creating districts with black majorities. "I think it would disperse African-Americans into numerous districts and dilute their power and strength," said Clay, who has a number of allies in both the Missouri House and Senate. State Rep.-elect Maria Chappelle-Nadal believes that the upshot of Amendment 1 will be fewer African-American lawmakers in a state that experienced substantial racial unrest in 2014 after a white police officer killed an unarmed black man in Ferguson, a suburb of St. Louis. "After what has happened in St. Louis County and the state of Missouri, I cannot by any means give up the opportunity for African-Americans to represent other minorities," Chappelle-Nadal said. 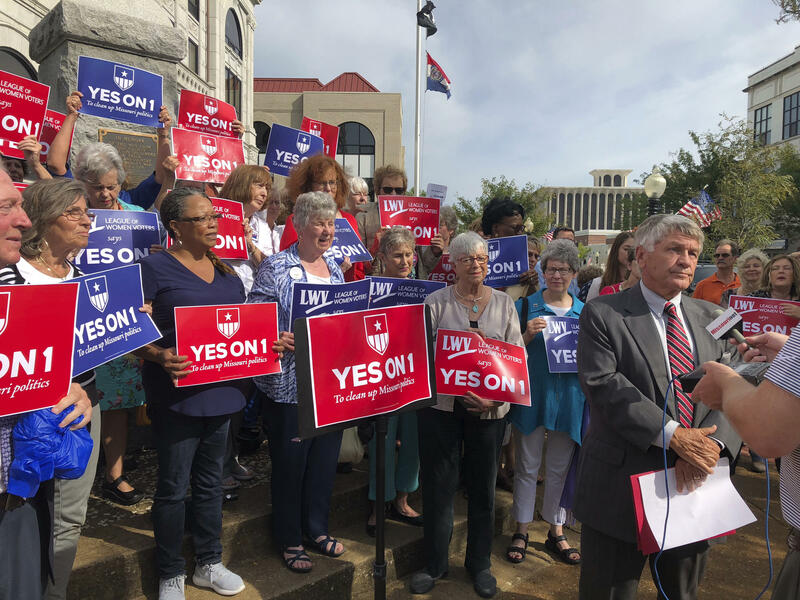 Amendment 1 proponents contend there's language aimed at protecting minority representation and it has received support from a number of civil rights organizations and leaders. Nicholson warned lawmakers to think twice before trying to undo a measure that passed with strong support in both Republican and Democratic-leaning parts of the state. "I think the governor and all the legislators who are thinking about undoing the will of the voters should look long and hard at the numbers and think about the message voters are trying to send," Nicholson said.